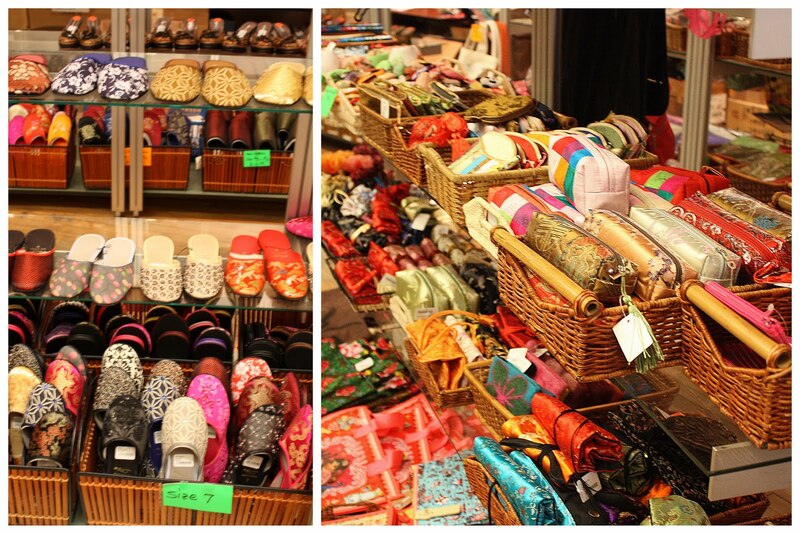 UPDATE: Pearl River Mart has moved to a new location! Check out their Facebook page for info and address. This store was so much fun! Full of tons of fabulous imports from China. Awesome collection of funky, nylon shopping bags. My favorite was this kitschy “First Lady of Fabulous” with Michelle Obama on a swing next to a cutesy deer with the White House floating away on a parachute. 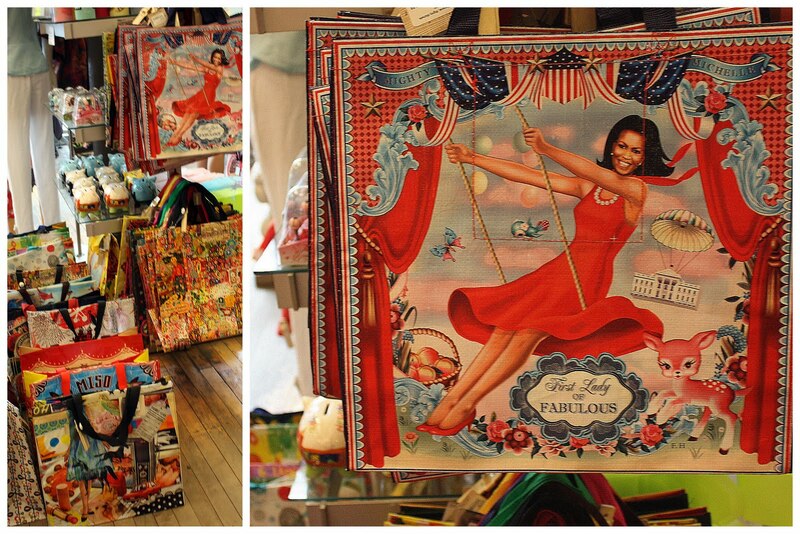 You can order a First Lady of Fabulous bag for yourself at the Pearl River website. By the way – the Pearl River website is amazing. It has all their amazing stuff at great prices, is really well organized, and just may test your will-power. I’m excited about it because I loved all the paper lanterns they carried, but worried about getting them home without getting them ruined. Now I’ll just order online when I want some! Another favorite thing for me was their ginormous collection of rice bowls. Why do I love these so much? Maybe it’s just their endearing, petiteness. The children’s collection was adorable. I loved this little froggy guy. Their fabric collection: lots of incredible Chinese silks. Also (top left-hand) rolls of great oil cloth prints. I was sorely tempted, until I remembered I had only brought one carry-on size suitcase. But, I didn’t walk away totally empty-handed. Too many fun, cheap things, like fans for my girls, or rubber, squirting puffer fish for my boys. 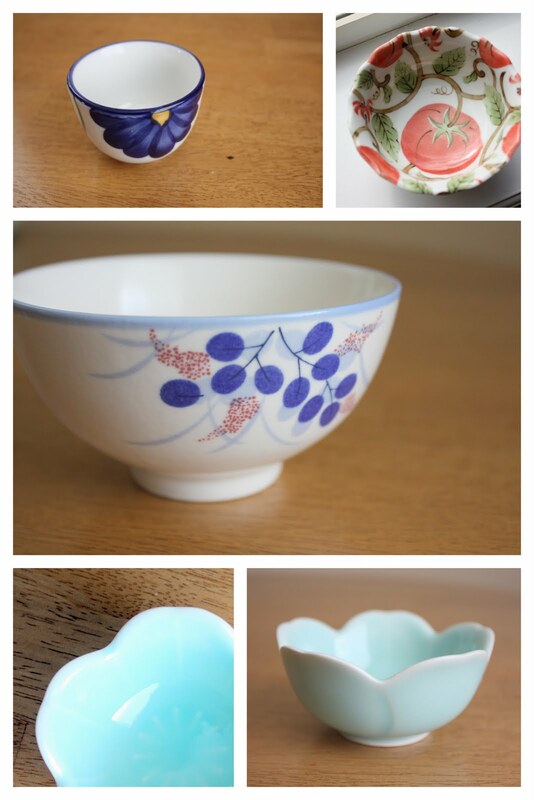 And I succumbed to some of those pretty rice bowls. 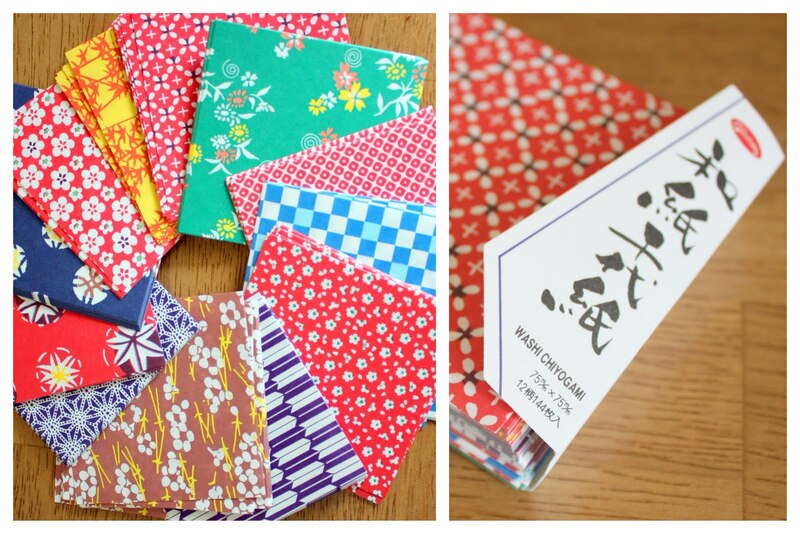 I also brought home this pretty stack of Chiyogami paper. A big, fat stack for only $3.95. I love the prints. I wish some of them were fabric. Don’t they look like quilt squares? See? There had to be some sewing tie-in. Monday I’ll show you how I made this cute little pincushion. 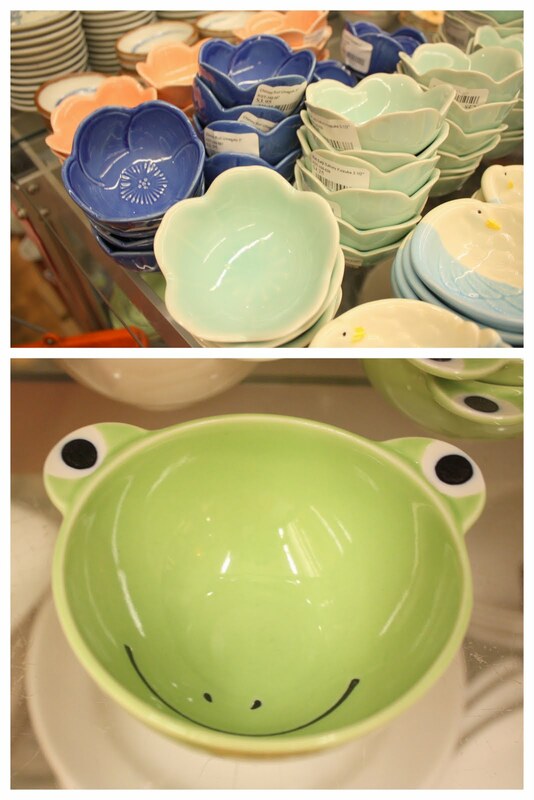 UPDATE: the Pearl River Mart store is temporarily closed, but still has an online presence. Wow! I&#39;ll have to go to this place the next time we&#39;re in NYC! For now I&#39;ll check out their website. Love your pincushion. And FYI, you can always mail fabric home! Wow! I wish I could find all these items near my place! Lucky you! These field trip posts are going to force me to go back to NYC (only not with my sister….she just wanted to go to the MTV store and the wax museum). Wow! I have loved all of the posts that you have done on your trip to New York. The places and pictures were inspirational to the quilter and shopper in me. So fun!!!! I am enjoying your tips about New York. I&#39;m planning a trip to next year and reading your posts, I&#39;m already anxious! Thanks for sharing. A hug.<br /><br />Paula louceiro<br /><br />Sorry if I made any mistake in the language, but I do not speak English very well. Love the posts about your trip. The pictures are amazing and very inspiring. Thanks for sharing! I sure wish I could have been a little mouse in your suitcase and gone along with you on your spectacular trip to New York… but just seeing your wonderful pictures made me feel like I had been there. <br />I love all that you bought! Thanks for sharing!!! Um, that first pic of parasols (or whatever the Asian version of them is called) is AMAZING! I loves it!!! And I hope you have a lot more field trips planned. I love this about Fridays! I have been to that store and it is fabulous! Seeing your wonderful pictures makes me sorry I did not visit it during my last trip to NYC in December. I will be checking out their website!<br /><br />Recently Pearl River Market was the featured shopping venue for HGTV&#39;s Next Design Star contest. They had to decorate a bedroom using only $500 worth of items from PRM. Thanks so much – we&#39;re heading to NYC for vacation, and I&#39;ll be checking this place out for sure!